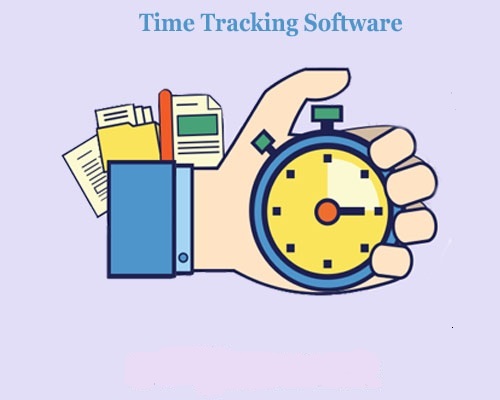 How new technology time tracking software works and its advantages? In this new technology world time tracking software plays an important role for any business to success. Because time is the most important and value able thing because time is money and employee time is the main sources for any business to earn money. And to keep the track of your employee time you can use new technology time to track software, which will help you to calculate their productive hours for your business and you can give them a salary accordingly. One more benefit will be when you get any project and with the deadline, which needs to be met then with the help of tracker you can keep check on your project time this software helps to record things that you do so that you can calculate what work you have done and what time you will have the clear picture of what work is done and what is left and how much time is remaining in completing the task. As web-based technology is improving time tracking software is also becoming web-based which gives the real time tracker from anywhere anytime. This can be beneficial for an employee who is working offshore or have more of field work or who are working from home this will help them to access tracker from anywhere and complete their work with all the proper records of time spent. Example like XYZ company is maintaining their employee time on paper or marking their attendance in different sheet and storing them in files and cabinets that in the end of the month create a huge mess and stress full work for HR departments to calculate employee salary which creates many human errors as well which is the loss to the company always. But in the same case if the company is using the new technology time tracker software then every employee just needs to enter their credential and need to log in to the tracker and then that the tracker will start recording time automatically with the different screen shot of time spend and this will also help to calculate the productive hours so that company can provide exact salary without any loss to the company or to any employee. There are many new technologies, which helps to interact with the team and other people in a well and systematic manner. Time tracking software is also working like same. It also helps to share the information in the correct way without any confusion with the relevant details of it which also helps to improve the communication. The Biggest benefit of this in communication is to HR team, which got the clear picture of productivity of employee with the relevant details which helps them to calculate their salary in the correct way. This helps to know how productive we are and how much time we are spending on each task to complete, this will encourage them to implement a new idea to complete the task in a faster time with their different creativity from their previous records. Time tracker helps in brainstorming by giving the way of thinking to complete the task faster than before. Time tracking software technology helps to change the way of working of human resource department as it gives the flexible way in calculating the employee working hours for their payroll and helps them to bill their clients accordingly. Helps them to easy and stress-free work. This helps them to calculate things correct with relevant details which help companies to save money. This new technology time tracking software helps to reduce the time of maintaining different time sheet or paper tracking system and helps to reduce the stress of the HR department in calculating the payroll and even less time and with the correct result of it. It saves the time of both company and employee in the correct way so that they can utilize that in some other productive work for a better result in terms of money. As the mobile technology is also growing faster day by day, it’s also given us many benefits like we can work from anywhere with this mobile technology and share our working hours and work information from any time. Time tracking software helps to track employee working from home or offshore to get proper details of work done.